Objetivo: avaliar o custo-efetividade dos simuladores utilizados no treinamento de anestesiologia. 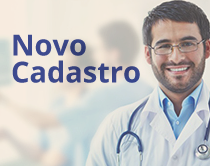 Método: revisão sistemática de artigos científicos indexados na base de dados MedLine, SciELo, Lilacs, ScienceDirect por meio dos descritores: “anesthesia training”, “simulation”, “anesthesia”, “medical education”, “training model” com o operador booleano “AND” e foram incluídos artigos publicados de 2000-2018 escritos em português, espanhol e inglês. Resultado: Foram observados 201 artigos dos quais 27 atendiam os critérios de inclusão. Conclusão: Devido à amplitude de simuladores, bem como de seus níveis de fidelidade e de custos, não foi possível relatar qual teria o melhor custo-efetividade. Foram verificados benefícios técnicos e éticos, contudo, ainda são necessários estudos com metodologias mais rigorosas e validadas para assegurar a efetividade dos simuladores de anestesia. Purpose: To evaluate the cost-effectiveness of training models in anesthesiology. 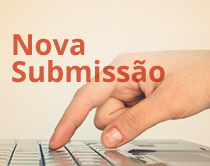 Methods: A systematic review of scientific papers indexed in MedLine, SciELo, Lilacs, ScienceDirect databases through the descriptors “anesthesia training”, “simulation”, “anesthesia”, “medical education”, “training model” with the boolean operator “AND” and were included articles published between 2000-2018 written in Portuguese, Spanish and English. Results: 201 articles were founded and 27 of them met the inclusion criteria. Conclusion: Due to the range of simulators, as well as their levels of fidelity and price, it was not possible to conclude which one have the best cost-effectiveness. Technical and ethical benefits was verified. However, studies with more stringent and validated methodologies to ensure the effectiveness of the simulators in anesthesia are needed. 1. Sparks S, Evans D, Byars D. A low cost, high fidelity nerve block model. Crit Ultrasound J. 2014 Ago;6(1):1-3. http://dx.doi.org/10.1186/s13089-014-0012-2. PMid:25411589. 2. Solymos O, O’Kelly P, Walshe CM. Pilot study comparing simulation-based and didactic lecture-based critical care teaching for final-year medical students. BMC Anesthesiol. 2015 Maio;15(15):1-5. http://dx.doi.org/10.1186/s12871-015-0109-6. PMid:26490826. 3. Al-Elq AH. Simulation-based medical teaching and learning. J Family Community Med. 2010 Jan-Abr;17(1):35-40. http://dx.doi.org/10.4103/1319-1683.68787. PMid:22022669. 4. Chang CH. Medical simulation is needed in anesthesia training to achieve patient’s safety. Korean J Anesthesiol. 2013 Mar;64(3):204-11. http://dx.doi.org/10.4097/kjae.2013.64.3.204. PMid:23560184. 5. Udani AD, Kim TE, Howard SK, Mariano ER. Simulation in teaching regional anestesia: current perspectives. Local Reg Anesth. 2015 Ago;8:33-43. PMid:26316812. 6. Liaw SY, Chan SW, Chen FG, Hooi SC, Siau C. Comparison of virtual patient simulation with mannequin-based simulation for improving clinical performances in assessing and managing clinical deterioration: randomized controlled trial. J Med Internet Res. 2014 Set;16(9):e214. http://dx.doi.org/10.2196/jmir.3322. PMid:25230684. 7. Corrêa CG, Machado MAAM, Ranzini E, Tori R, Nunes FLS. Virtual Reality simulator for dental anesthesia training in the inferior alveolar nerve block. J Appl Oral Sci. 2017;25(4):357-66. http://dx.doi.org/10.1590/1678-7757-2016-0386. PMid:28877273. 8. Murray DJ. Progress in simulation education: developing an anesthesia curriculum. 2014 Dec; 27(6):610-5. 9. Cooper JB, Taqueti VR. A brief history of the development of mannequin simulators for clinical education and training. Qual Saf Health Care. 2004 Out;13(1 Suppl):i11-8. http://dx.doi.org/10.1136/qshc.2004.009886. PMid:15465949. 10. Good ML. Patient simulation for training basic and advanced clinical skills. Med Educ. 2003 nov;37(1 Suppl 1):14-21. http://dx.doi.org/10.1046/j.1365-2923.37.s1.6.x. PMid:14641634. 11. Okuda Y, Bryson EO, DeMaria S Jr, Jacobson L, Quinones J, Shen B, et al. The utility of simulation in medical education: what is the evidence? Mt Sinai J Med. 2009 Ago;76(4):330-43. http://dx.doi.org/10.1002/msj.20127. PMid:19642147. 12. Schwid HA. Anesthesia simulators – technology and applicantions. Isr Med Assoc J. 2000 dez;2(12):949-53. PMid:11344786. 13. Mukherjee B, Venkatakrishnan JV, George B, Sivaprakasam M. Evaluation of an ophthalmic anesthesia simulation system for regional block training. Ophthalmology. 2015 Dez;122(12):2578-80. http://dx.doi.org/10.1016/j.ophtha.2015.07.021. PMid:26319195. 14. Nyssen AS, Larbuisson R, Janssens M, Pendeville P, Mayné A. A comparison of the training value of two types of anesthesia simulators: computer screen-based and mannequin-based simulators. Anesth Analg. 2002 Jun;94(6):1560-5. http://dx.doi.org/10.1213/00000539-200206000-00035. PMid:12032027. 15. Park CS. Simulation and quality improvement in anesthesiology. Anesthesiol Clin. 2011 Mar;29(1):13-28. http://dx.doi.org/10.1016/j.anclin.2010.11.010. PMid:21295750. 16. Grottke O, Ntouba A, Ullrich S, Liao W, Fried E, Prescher A, et al. Virtual reality-based simulator for training in regional anaesthesia. Br J Anaesth. 2009 Out;103(4):594-600. http://dx.doi.org/10.1093/bja/aep224. PMid:19706630. 17. Wong A. Review article: Teaching, learning, and the pursuit of excellence in anesthesia education. Can J Anaesth. 2012 Fev;59(2):171-81. http://dx.doi.org/10.1007/s12630-011-9636-x. PMid:22135210. 18. Baranauskas MB, Margarido CB, Panossian C, Silva ED, Campanella MA, Kimachi PP. Simulação de bloqueios periféricos guiados por ultra-som: curva de aprendizado dos residentes de anestesiologia do CET-SMA/HSL. Rev Bras Anestesiol. 2008;58(2):106-11. http://dx.doi.org/10.1590/S0034-70942008000200003. PMid:19378529. 19. Nix CM, Margarido CB, Awad IT, Avila A, Cheung JJH, Dubrowski A, et al. A scoping review of the evidence for teaching ultrasound-guided regional anesthesia. Reg Anesth Pain Med. 2013 Nov./Dez;38(6):471-80. http://dx.doi.org/10.1097/AAP.0b013e3182a4ed7a. PMid:24108249. 20. Liu Y, Glass NL, Glover CD, Power RW, Watcha MF. Comparison of the development of performance skills in ultrasound-guided regional anesthesia simulations with different phantom models. Simul Healthc. 2013 Dez;8(6):368-75. http://dx.doi.org/10.1097/SIH.0b013e318299dae2. PMid:24096912. 21. Lorello GR, Cook DA, Johnson RL, Brydges R. Simulation-based training in anaesthesiology: a systematic review and meta-analysis. Br J Anaesth. 2014 Fev;112(2):231-45. http://dx.doi.org/10.1093/bja/aet414. PMid:24368556. 22. McGaghie WC, Issenberg SB, Cohen ER, Barsuk JH, Wayne DB. Does simulation-based medical education with deliberate practice yield better results than traditional clinical education? a meta-analytic comparative review of the evidence. Acad Med. 2011 Jun;86(6):706-11. http://dx.doi.org/10.1097/ACM.0b013e318217e119. PMid:21512370. 23. Chiu M, Tarshis J, Antoniou A, Bosma TL, Burjorjee JE, Cowie N, et al. Simulation-based assessment of anesthesiology residents’ competence: development and implementation of the Canadian National Anesthesiology Simulation Curriculum (CanNASC). Can J Anaesth. 2016 Dez;63(12):1357-63. http://dx.doi.org/10.1007/s12630-016-0733-8. PMid:27638297. 24. Murray DJ. Current trends in simulation training in anesthesia: a review. Minerva Anestesiol. 2011 Maio;77(5):528-33. PMid:21540808. 25. Larsson J, Holmström I. Understanding anesthesia training and trainees. Curr Opin Anaesthesiol. 2012 Dez;25(6):681-5. PMid:23026803. 26. Pugh CM. Low-cost, locally fabricated simulators: the wave of the future. J Surg Res. 2011 Jun;168(1):29-30. http://dx.doi.org/10.1016/j.jss.2010.07.018. PMid:20851416. 27. Woodworth GE, Chen EM, Horn JL, Aziz MF. efficacy of computer-based vídeo and simulation in ultrasound-guided regional anesthesia training. J Clin Anesth. 2014 Maio;26(3):212-27. http://dx.doi.org/10.1016/j.jclinane.2013.10.013. PMid:24793714.